Acupuncture is the ancient art of inserting small needles into certain acupuncture points in the body. Acupuncture originated in China thousands of years ago, but there are also Japanese, Tibetan, and Korean versions. By inserting these needles into the acupuncture points, it is believed that certain pains and diseases can be alleviated, restoring the person to a healthy well-being. But, acupuncture can also be calming and relaxing as well. When you visit the practitioner for the first time, he or she will probably ask you several questions about your general health and any conditions from which you suffer as well as your lifestyle and behaviour traits. This gives the practitioner a better overall picture of your health so he or she will know how to help improve it. When ready to begin the treatment, he or she will have you recline and then sterilize the skin on the areas where the needles will be inserted. Each needle is only inserted about 3 to 5 mm into the skin. You normally will not feel any pain, but many patients say they experience a feeling of tingling and relaxation while the needles are in place. The practitioner will leave the needles in the skin for between 15 and 20 minutes, so it is important that you remain still and rest to keep from hurting yourself. No one is quite sure how acupuncture works, but many studies have shown that it is beneficial in helping relieve nausea, chronic pain, headaches, cramps, and even asthma. But what about acupuncture for relaxation? Studies have shown that body and auricular (ear) acupuncture can help reduce symptoms caused by minor depression and chronic or general anxiety disorders. When most people think about being stuck by a needle, they immediately think of the pain that may be caused when getting an immunisation shot or when giving blood. 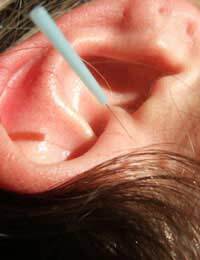 However, acupuncture needles are very small – hair thin. While the acupuncture experience is different for each person, most say that there is minimal to no pain involved. In fact, most say that after the treatment, they feel energized and relaxed. If you receive an acupuncture treatment and do experience soreness or pain, mention it to your practitioner. When you consult a practitioner, he or she should be able to tell you how much each treatment will cost and how many treatments you will need. Depending on what you hope to achieve, you may be able to go a few days or a few weeks without seeing your acupuncturist. A physician acupuncturist may charge you more than a non-physician acupuncturist. In some cases, your insurance may cover the cost of your visits. With the onset of diseases such as AIDS and Hepatitis that can be transmitted through contact with needles, many people may wonder if acupuncture is actually safe. If you find a properly qualified acupuncturist, he or she should mention that the needles used are sterile and non-toxic. The needles should be in a sealed bag and they should also be thrown away after being used on each patient. If you are feeling a lot of anxiety, stress, or depression, visiting an acupuncturist may be the solution. You may find yourself feeling more relaxed and rested after only one visit!